Body Fantasies Signature Frag...8 oz. Body Fantasies Body Spray Lov...8 oz. 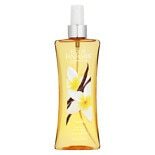 Calgon Refreshing Body Mist M...8 oz.